With a sleek and minimalistic design, AGILE 150 is the perfect choice for any situation. 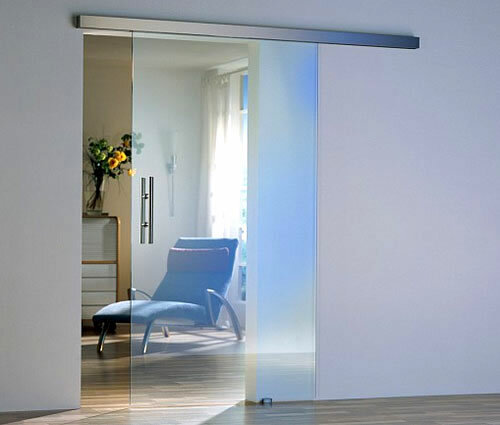 Having a compact 63 mm track with an enclosed roller assembly, the operational system can hold even large sliding glass doors up to 150 kg, combining superior versatility with durability and a sleek design. 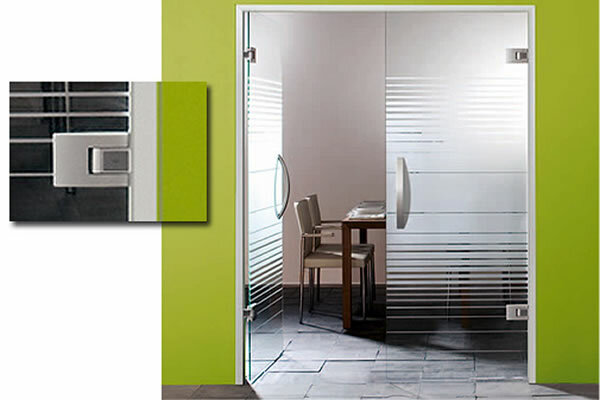 AGILE 150 is available for single or double-leaf doors and can be mounted at the wall, to the ceiling but also in glass assemblies with doors and fixed glass panels. 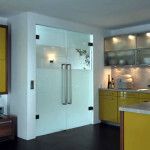 It can be also fixed to glass walls with overpanels. 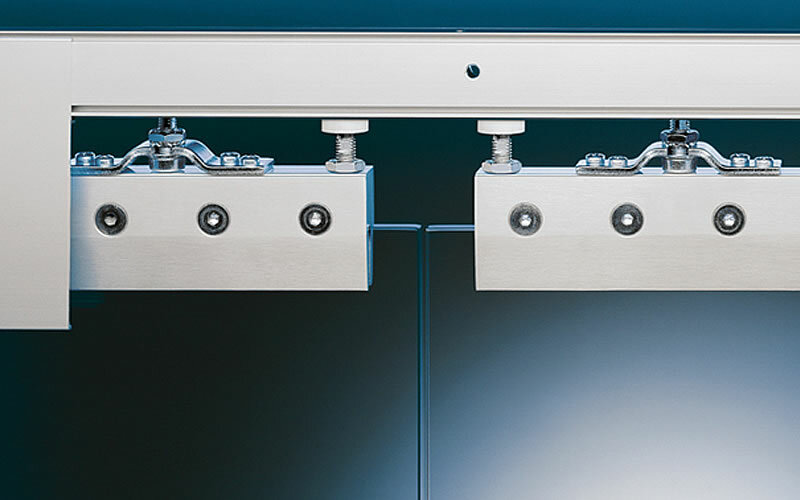 With its discrete track rail height of just 50mm, the AGILE 50 is a sliding door system designed for lightweights up to 50 kg. 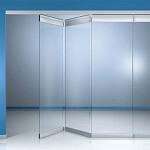 It is ideal for dividing limited spaces (dressing rooms, bathrooms, working areas, hallways) and it can be fixed either to a wall or to the ceiling. 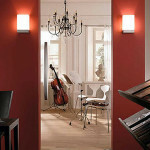 Arcos Universal range stands out as unique and sophisticated, with its curved arc motif incorporated in each component. 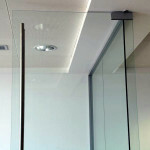 The elegant fittings and the transparent glass perfectly complement each other into a harmonious whole. 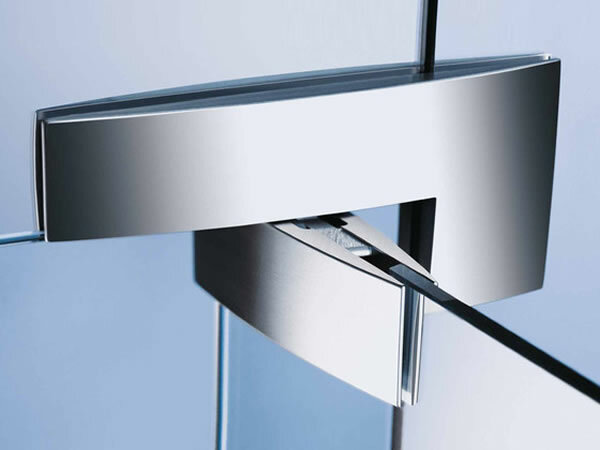 The Arcos range includes varied accessories such as door locks, lever handles with the same flowing design which make this line suitable for interior design. 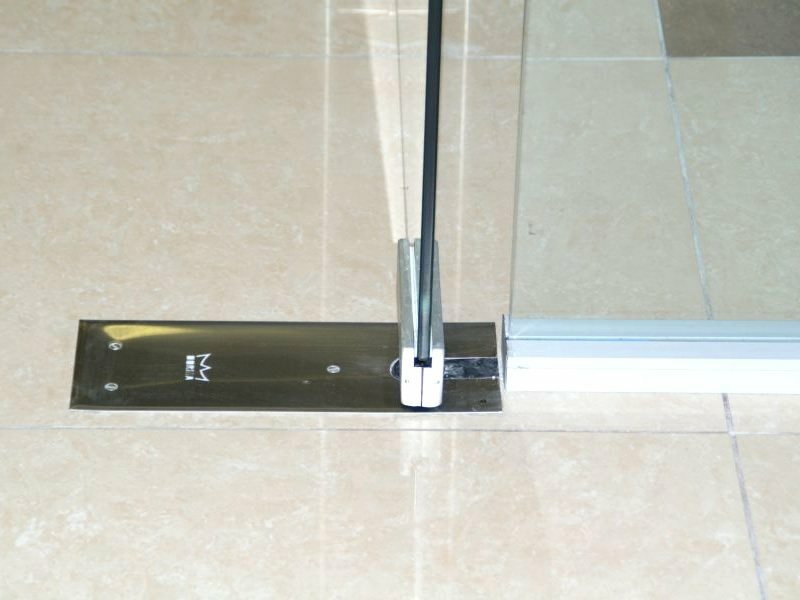 It has a classic patch fitting system, with a floor spring spindle and bottom and top hinges, especially suitable for 10 mm thick tempered glass. 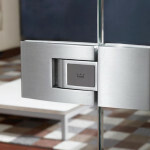 Door weights can be anything up to 80 kg, with widths up to max. 1100 mm. 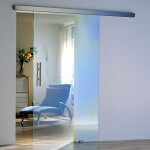 The unique Dorma Beyond system for glass doors is safe, functional and extremely attractive. 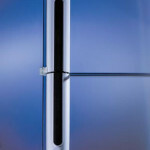 Its pivot point, which is located centrally in the glass axis and close to the glass edge, ensures perfect safety and security and its two slim rod hinges contribute to the modern design. 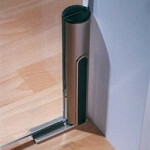 Optionally, a floor spring spindle can be attached to ensure that the door is held firmly and securely in position at 90º. 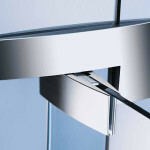 Available for 10 and 12 mm thick glass, the system has two aesthetically different alternatives: either an elegant full length pivot rod or two short pivot rods, placed at the bottom and the top of the door. 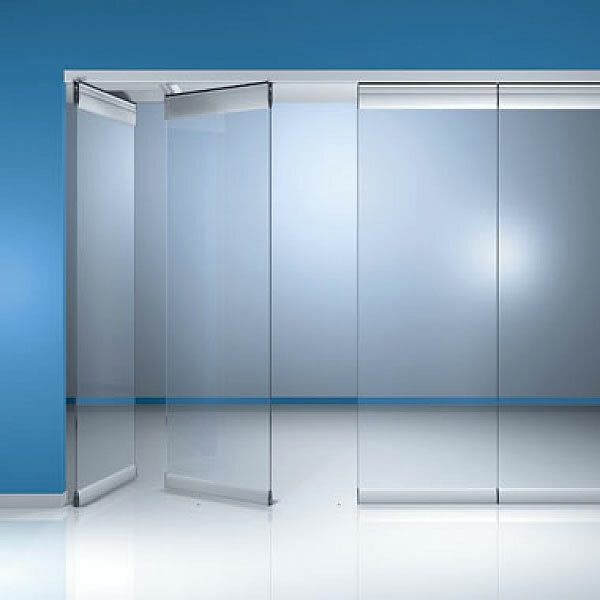 The system can be used into a wide range of toughened glass assemblies and wall openings (single or double doors, with adjoined sidelights or overpanels). 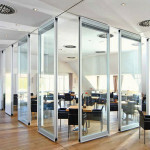 FSW is a movable glass wall system, visually and functionally similar to HSW. 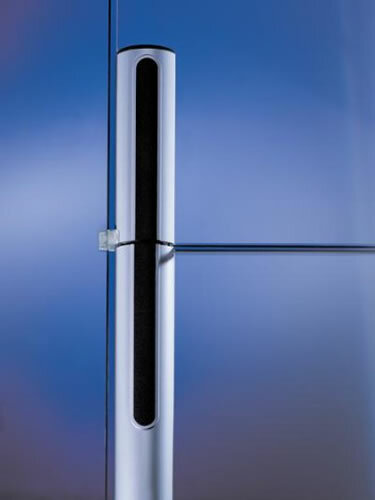 The door rails are connected to one another at the top and bottom by hinges, and its panels are suspended at the end of the top rails. The closed wall transforms effortlessly into a compact parked stack when required - without the need for a separate stacking track. 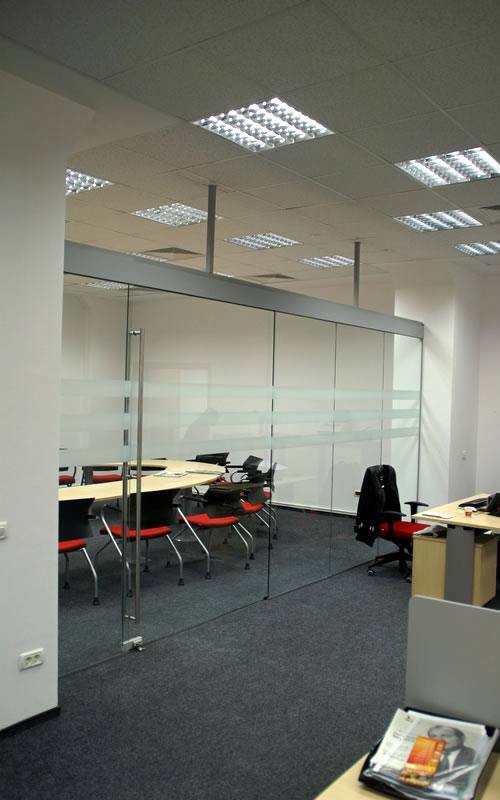 Offset-hung panels allow stacked panels to hang entirely to one side or the other (for FSW-G) or centrally hung panels can be stacked taking up only half the space inside and out (FSW- C). 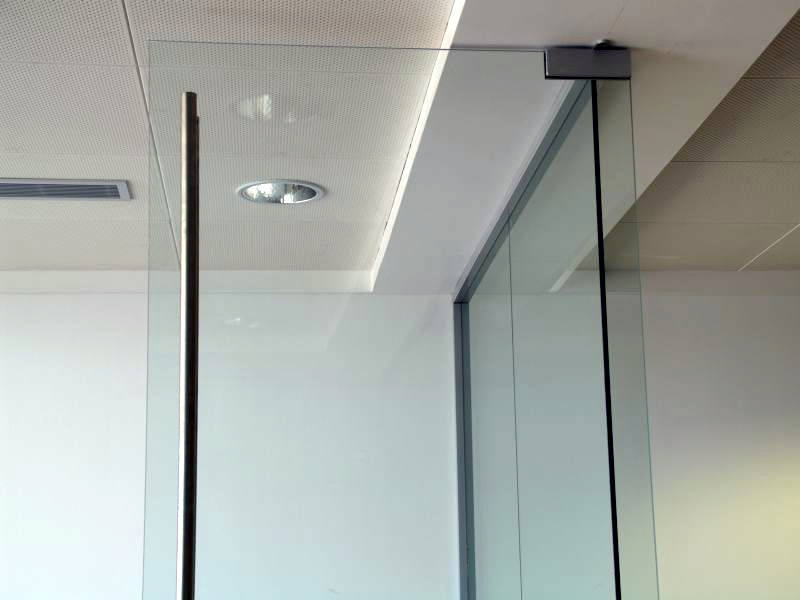 Dorma HSW is an innovative sliding glass wall system, enabling the design of open, easy-access areas or glass partitions with various purposes. 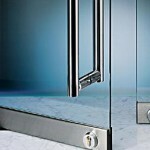 When the wall system is opened, glass panels are stacked in special parking areas, thus enabling easy, full access. 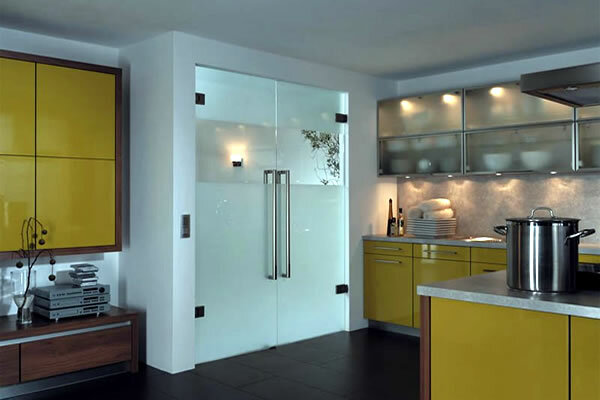 Every glass panel can have integrated hardware in order to be turned into a swing door, allowing easy access to the room when the glass wall system is aligned. 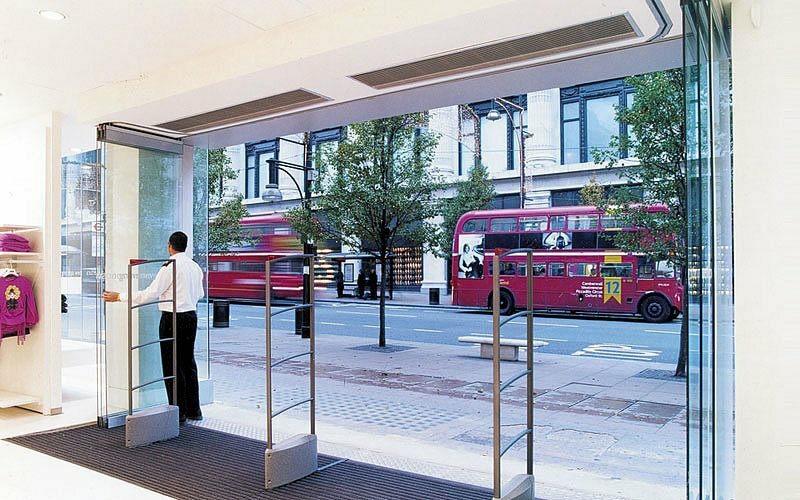 Sliding glass wall systems HSW are ideal for storefronts or interior partitioning, in straight or elegantly curved configurations. 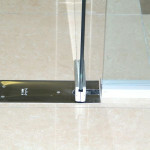 The beauty of the system is that is fixed to the ceiling and floor guides are not required. 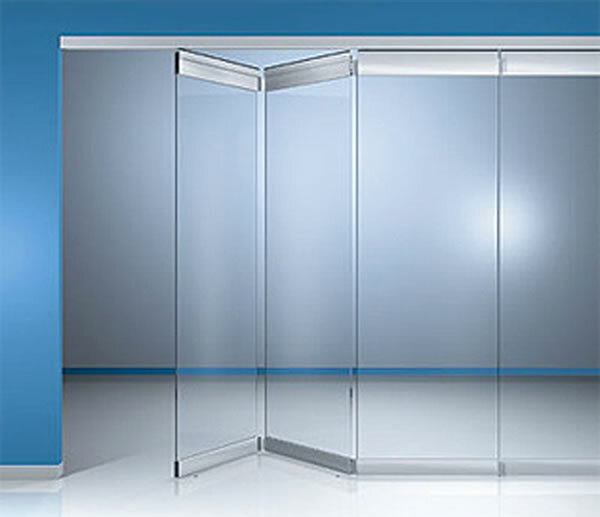 It can also be used for high walls up to 4 m.
Dorma Moveo is the intelligent solution to change room sizes easily and flexibly without using rigid walls and enabling basic layout to be efficiently used for a multitude of functions. 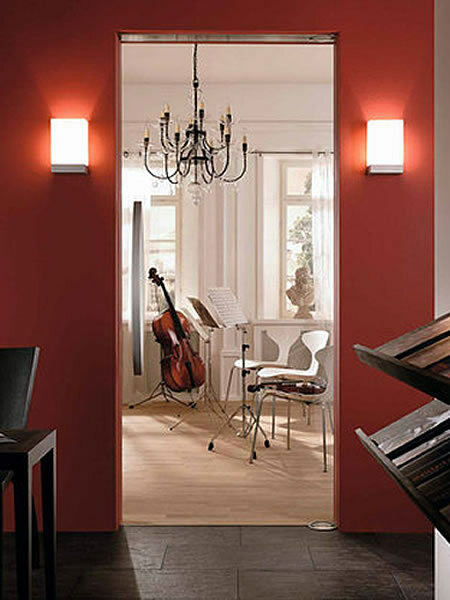 This way, more events can be held simultaneously due to high sound attenuation values up to Rw* 50 dB. 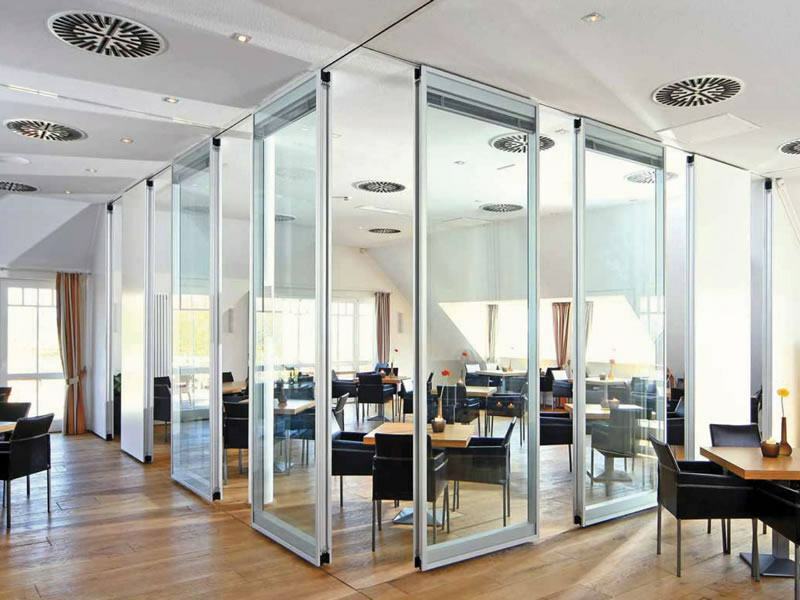 Operable sound-insulation partitions can be made of glass (with or without automatic blinds integrated) or made of wood, depending on the level of visibility or privacy that is required. Resistant and less spectacular, Dorma RS 120 is a classic slide system with a compact track and extremely strong carriers concealed with clip-on covers, in varied finishes. 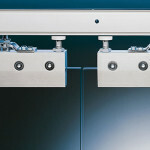 The covers can be used on one or on both sides, depending on the clamping system (if the track is fixed onto the wall or under the ceiling). If the track is side mounted, the covers can be removed or they can be used on the exposed side only, which is a less expensive solution. 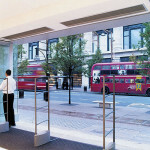 RS 120 is available for single or double-leaf doors, but can be also integrated into glass wall assemblies with adjacent glass panels. 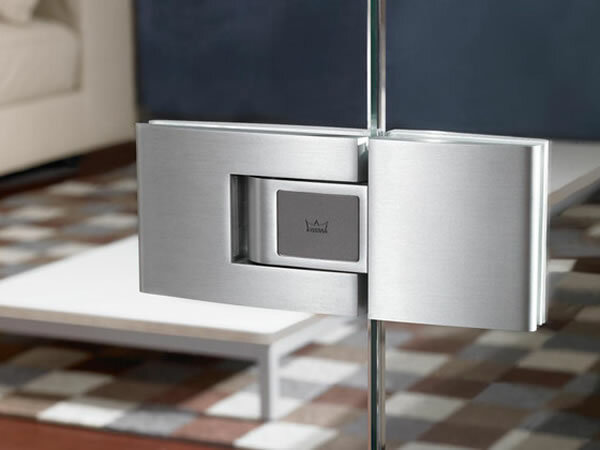 This new and innovative system can be fixed directly to the masonry or to a non-rebated frame, the double action door hinges having an integrated spring mechanism. In the case of “glass to glass” model, Tensor enables the double action door to be hung from a fixed toughened glass sidelight. 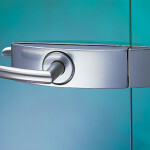 Tensor double-action hinge holds the door firmly and securely in position at 90º. 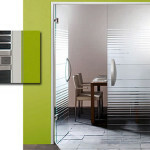 This system also enables double-leaf doors to be aligned to each other, when closed. 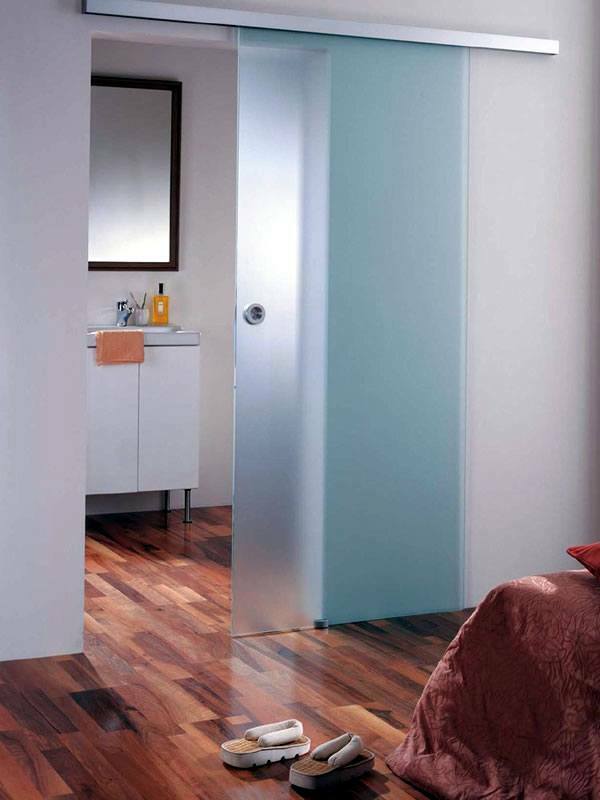 Doors can be 8, 10 or 12 mm thick, with maximum weight of 65 kg and 1000 mm width. 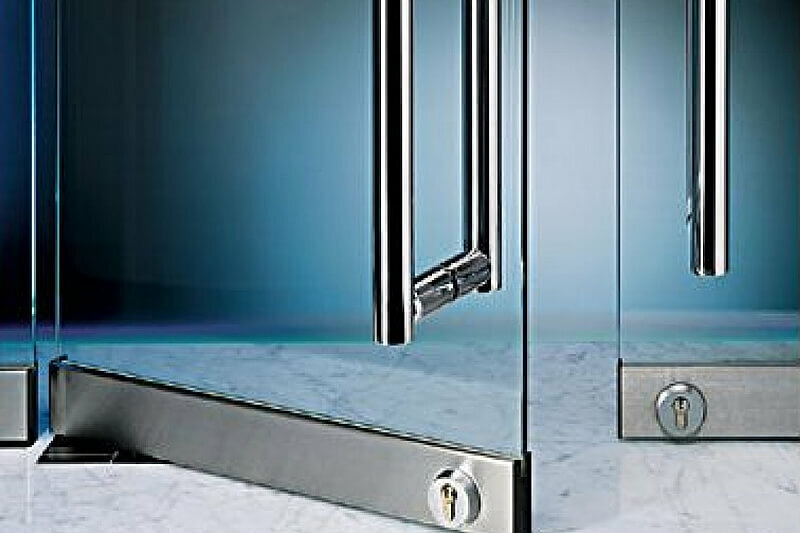 Dorma rails for swing doors facilitate the installation of extremely heavy duty and wide doors and also glass side panels. 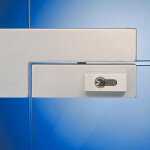 The Dorma TP/TA door and side panel rails coordinate with all Dorma patch fittings in terms of design, dimensions and the finishes available to create glass assemblies of all types of glass walls - single or double leaf, single or double action, non lockable or provided with integrated locks, which provide maximum protection of the lower glass edge. 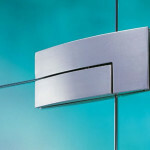 Rails are also available for ARCOS line, with that special design given by the curved arc motif of the profile covers. 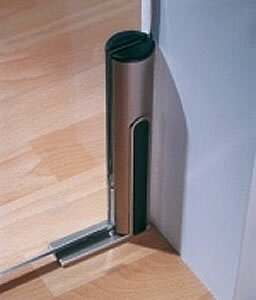 Standard TP door rails can sustain doors up to 120 kg, with glass panel of 1200 mm width and 3500 mm height. 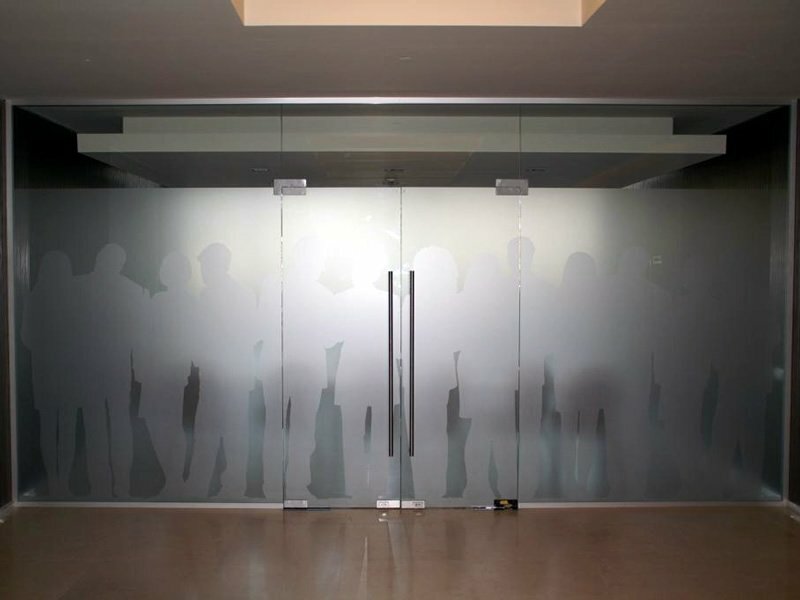 They are available as standard for 10 mm glass thickness; but with replacement gasket they will suit 12 mm or 8 mm glass thickness. 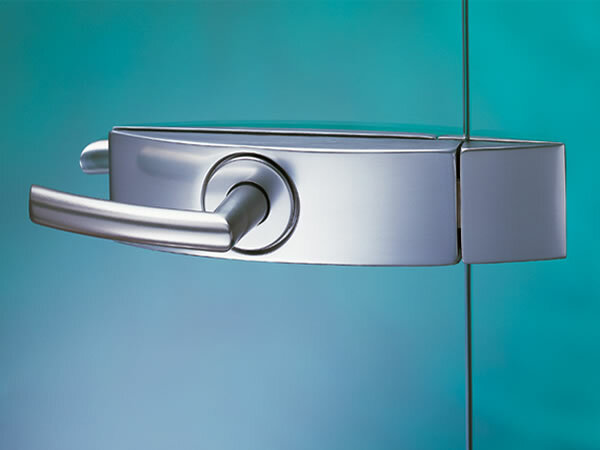 Dorma Universal is the most commonly used range for swing glass doors as it is fitted with double action spring floor closer for easy door opening, which also keeps the door blocked at 90°. 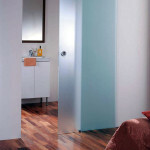 Conceived for common glass thicknesses between 8-12 mm, Dorma Universal has a wide spectrum of patch fittings that can be combined to create almost any conceivable design in toughened glass: single-leaf or double-leaf doors up to 100 kg, with fixed parts in widely differing arrangements –with corner fittings or fin fittings at any angles or sidelights for glass walls higher than 3 m.
Giving the wide range of surface finishes available (aluminium silver anodized, satin or polished stainless steel) and its heavy usage functionality, Dorma Universal range is recommended not only for home, but also for office design or storefronts. 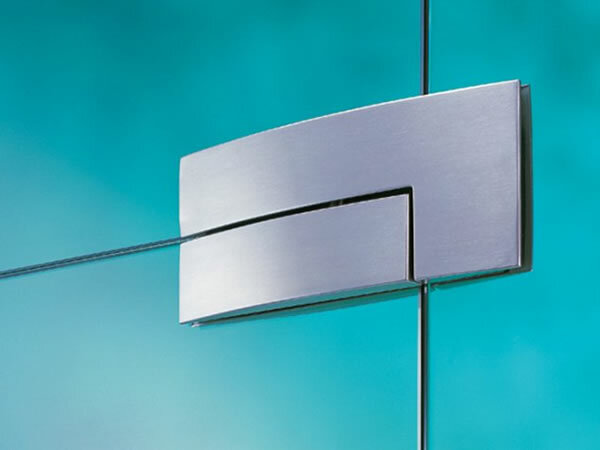 Discrete and elegant, Dorma Visur is fitting in with every possible colour or material due to its concealed hardware elements. 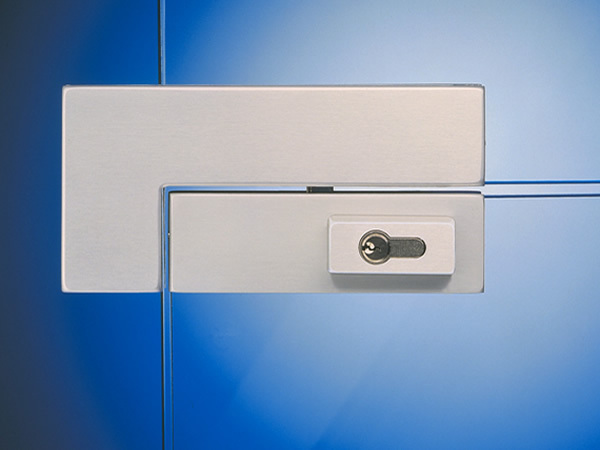 Thanks to a hold-open feature, the door can be retained at an opening angle of 90°, and in the case of Dorma Visur all-glass double action door, the closing function can be performed optionally and invisibly by attaching the transom concealed RTS 85 door closer.